More Color Spaces Supported - Supports three more color space options, sYCC601 color, Adobe RGB Color and Adobe YCC601 color in addition to the X.V color support previously supported by Deep Color. These cables promise to deliver a wider palette of colors to bring you more vibrant pictures. 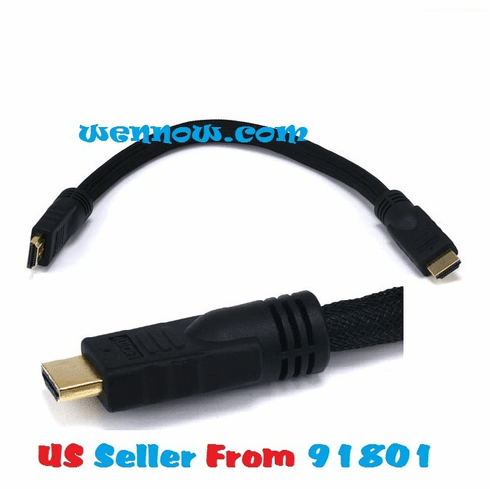 In addition, these cables are backward compatible with previous versions of HDMI. These High speed cables are constructed to the highest quality with full triple layer shielding from end to end, strong, solid wire welds and the highest quality materials including high purity copper, gold plated connectors and tin plated conduits.